Project management—the kind that works—really boils down to one essential thing. If you get this one thing right, you will be able to complete projects well, meet time deadlines, and make your clients very happy. If you don’t get this one thing right, your project is likely to fail. What is the one thing you can’t afford to get wrong? Communication. Effective communication in project management leads to a well-run team, and lack of communication leads to chaos and eventual ruin. Although the end result is simple and direct, communication is often anything but. Project managers may think they are being direct, but may be perceived as rude or uncaring. They may decide to express empathy with their team member’s situation, but have it taken as permission to slack off and miss deadlines. One key to effective communication is to realize that 90 percent or more of your communication is nonverbal—or at least not about the words you actually say. If you say something with a dry or ironic tone of voice, your team may take your meaning to be the exact opposite of what you say. Gestures also play into how your communication is perceived. The statement, “We need to complete this project on time or the client will be very unhappy” can have an entirely different meaning when a gesture like an eye roll or a nervous laugh accompanies the words. Having a trusted friend or colleague observe your communication with your team and give you feedback on how it came across may be an invaluable exercise and help you improve your future communication. Communication doesn’t only have to be verbal, however. Using tools like group chat, shared calendars, and even interactive whiteboards can help to guide and direct your team, serving as valuable reminders of deadlines for tasks or a way to see progress without constant meetings that can get tiresome and repetitive at times. Interactive whiteboards and group chat rooms online are some ways to keep communication going in your absence. Theoretically, communication can be overdone and lead to micromanagement and fatigue on the part of team members, but most project managers err on the side of undercommunication rather than communicating too much. A Project Management Institute report suggested that 90 percent of a project manager’s time should be spent communicating. That’s a lot of communication! You don’t need to repeat the same instructions over and over again to be effective. Asking pertinent questions about a team member’s progress can be enough to clarify the task and get your point across without being too demanding or being seen as a micromanager. Frequent communication with team members also gives them access to you so they can ask questions when they have them, rather than feeling left alone to deal with the situation. Listening is just as important to communication as talking—some would say it is more important, even. Project managers will not know what is going on with their team unless they spend a significant amount of time listening to them. The importance of documentation in project management is another aspect to consider. 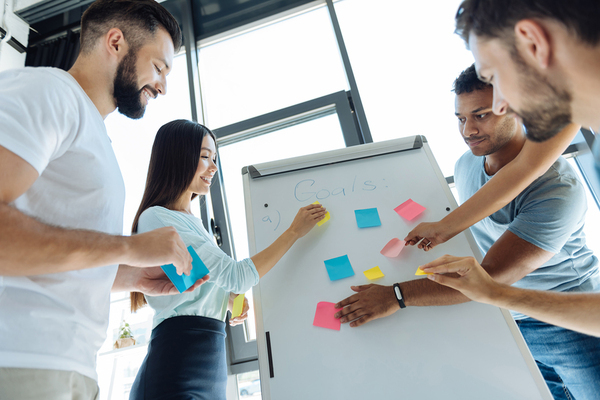 Florida Tech offers a project management degree program that prepares students to effectively communicate with their teams and addresses all aspects of the project management process.